Location: This is on the road from Carrbridge to Grantown. 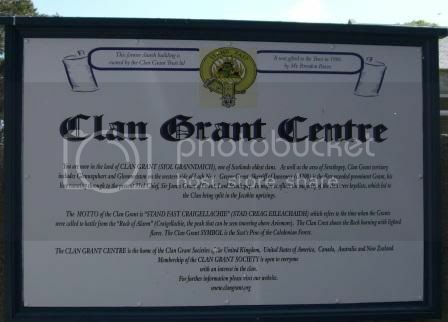 The Clan Grant Centre. 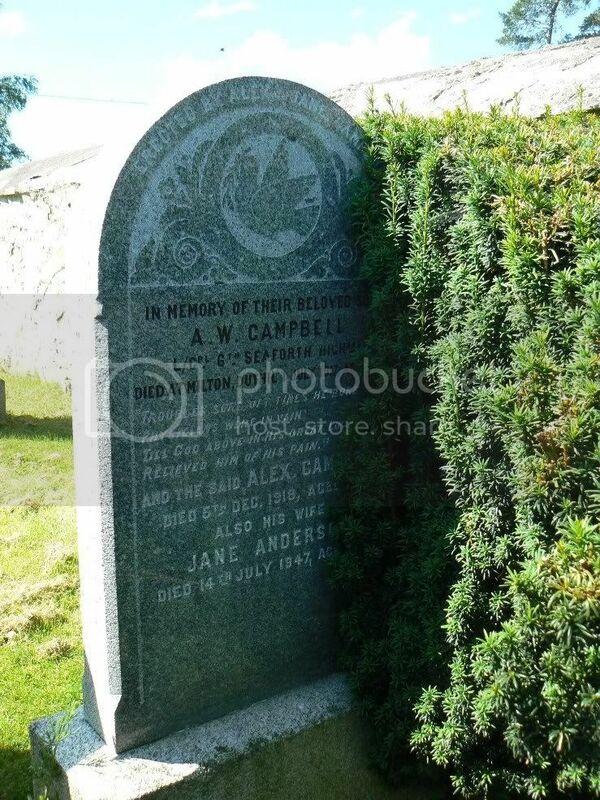 Additional information: Son of Alexander and Jane Anderson Campbell, of Milton Duthil. Born at Duthil. Grave/Memorial Reference: On North boundary. Grave/Memorial Reference: At East end of Church. 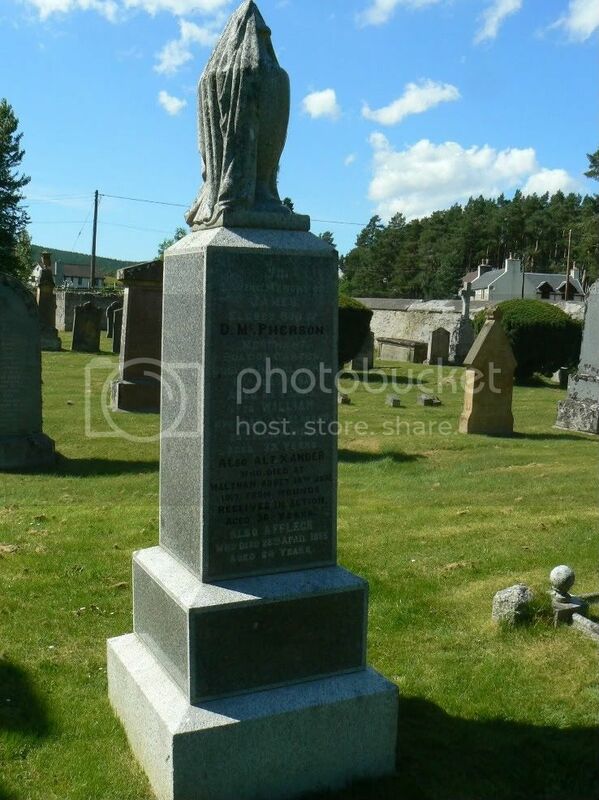 Erected by William Dunbar, Rhynaballich, Cromdale in memory of his beloved wife Elsie McGregor, born at Slock died at Cromdale 29th Oct 1889 aged 29 years. 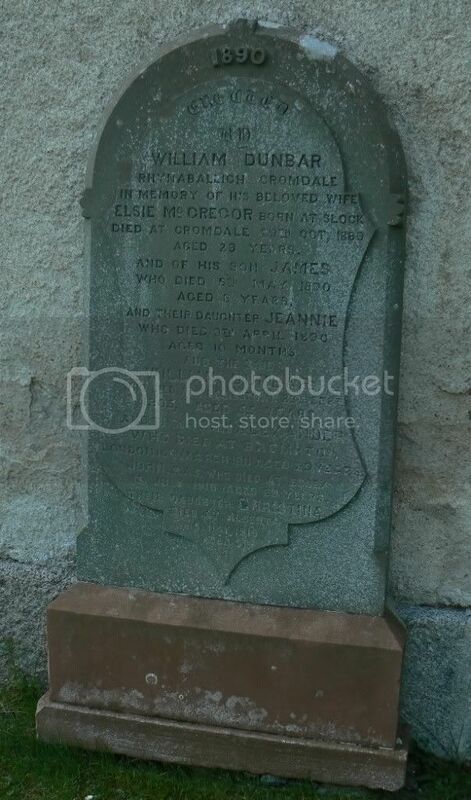 And of his son James who died 5th May 1890 aged 8 years and their daughter Jeannie who died 9th April 1890 aged 10 months. 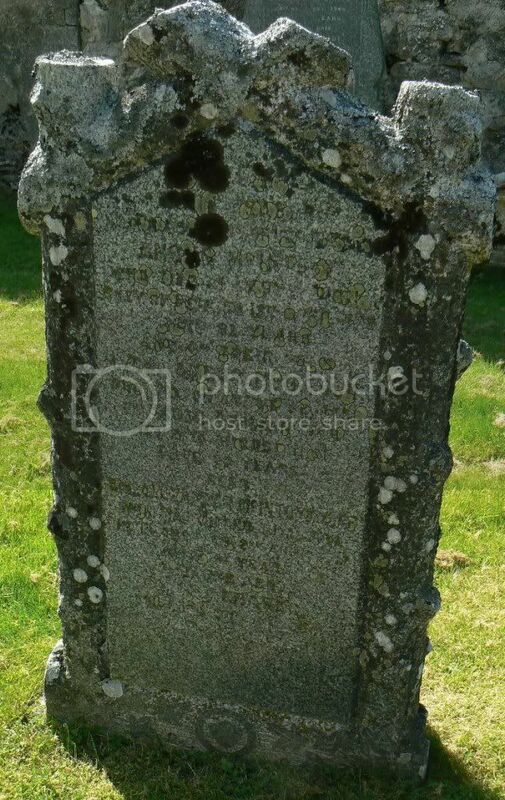 And the said William Dunbar who died at Archiestown 23rd Sept 1905 aged 55 years. 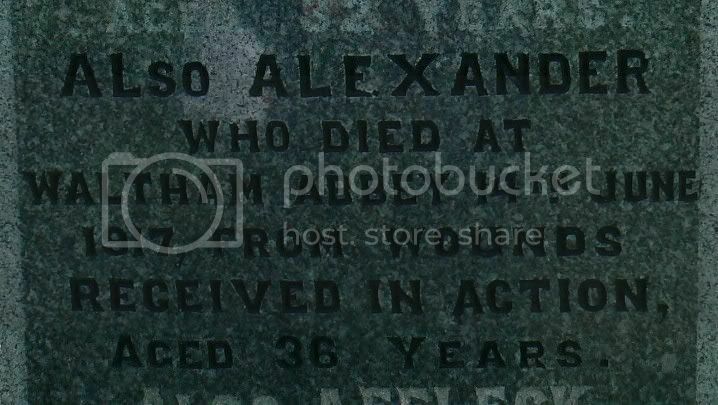 And their sons Alexander who died at Brompton. London 10th March 1911 aged 29 years, John, RAF who died at Essex 15th July 1918 aged 29 years. Their daughter Christina died at Alberta 5th May 1919 aged 31. 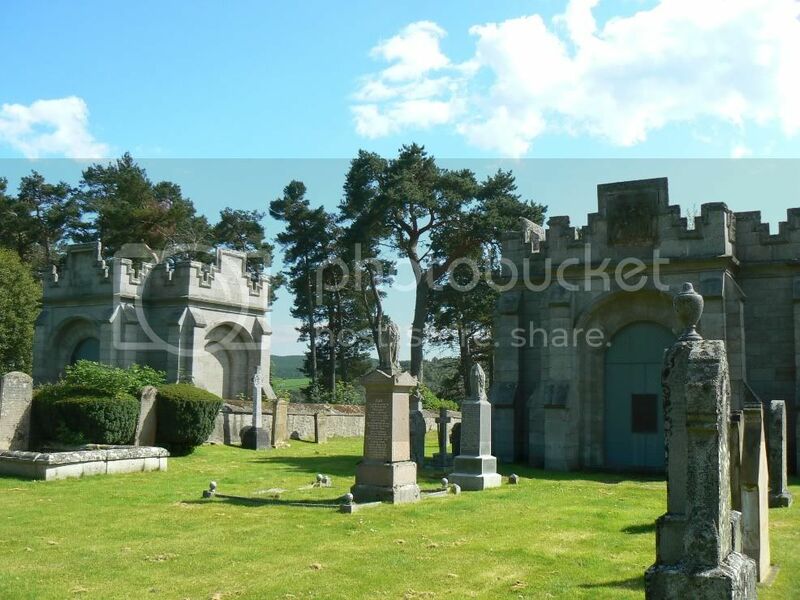 Additional information: Son of the late Donald and Harriet Macpherson, of Boat-of-Garten, Inverness-shire. Grave/Memorial Reference: North-East of Church. 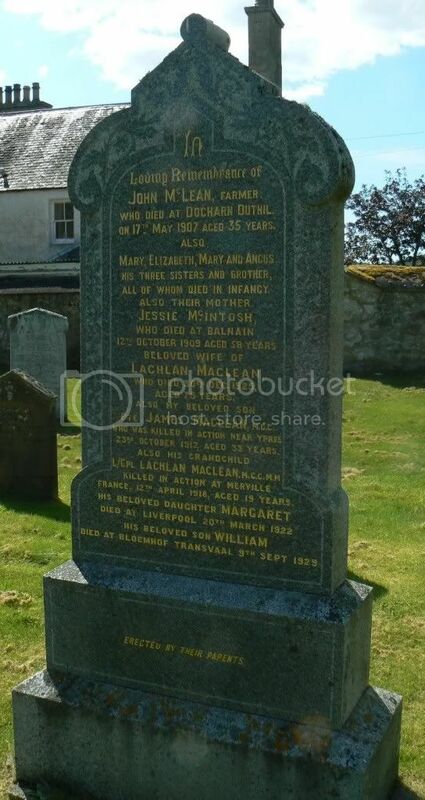 In loving memory of Robert MacDonald, Lynbeg, Slochd and his wife Eliza MacKintosh. Their sons Peter and Alexander fell in action in the 1914-1919 war. Their daughters Emily, Mary, Barbara, Maggie, May. 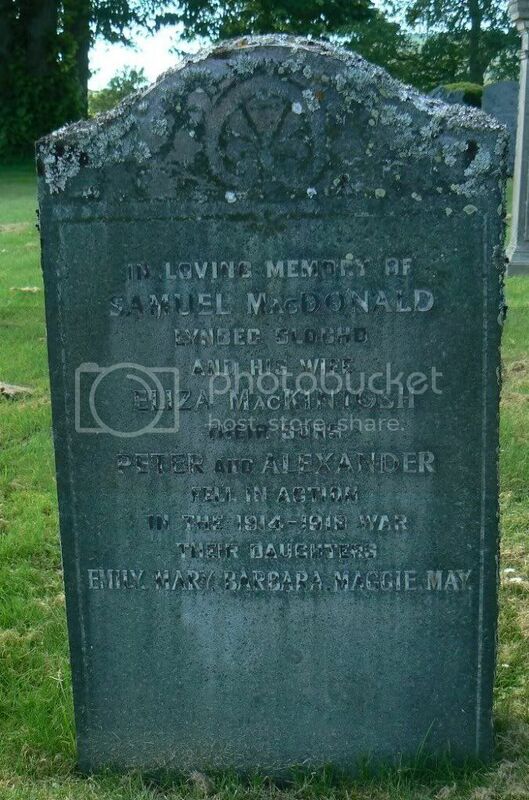 Additional information: Son of the late Mr. and Mrs. Samuel Macdonald. Additional information: Son of Samuel and the late Mrs. Macdonald. Grave/Memorial Reference: I. E. 11. 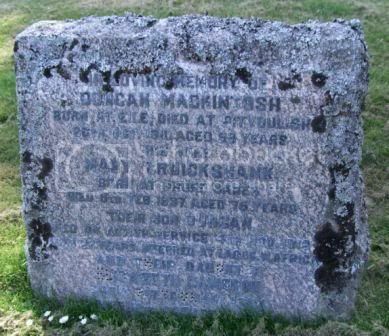 In loving memory of Duncan MacKintosh, born at Eile died at Pityoulish 26th Oct 1911 aged 59 years. His wife Mary Cruickshank, born at Croft James died 8th Feb 1937 age 75 years. Their son Duncan died on active service 4th Nov 1918 aged 22 years. Interred at Lagos, W. Africa and their daughter Elizabeth Cameron born 1904 died 17th Oct ?. 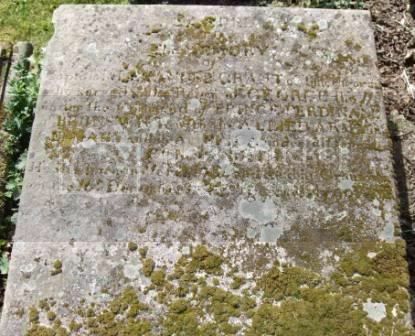 Sacred to the memory of Captain Alexander Grant of Tullochgorm who served in the Reign of George under the command of Prince Ferdinand of Brunswick with the allied army in Germany and in America under different Commanders. 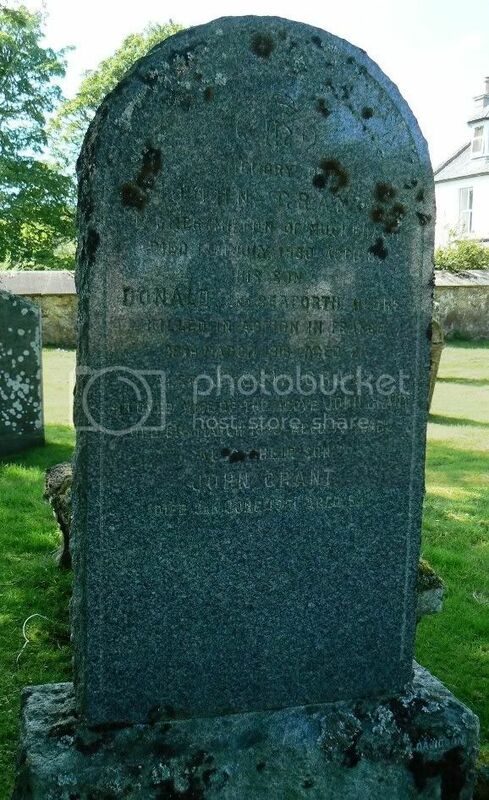 He was born in March 1734 and died at Grantown on the 16th of Dec 1822 aged nearly 90 years. To the beloved memory of Field Marshall Sir Patrick Grant. 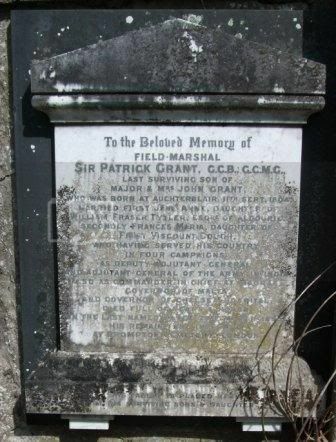 GCB,GCMC last surviving son of Major & Mrs John Grant who was born at Auchterblair 11th Sep 1804. Married first Jane Anne, daughter of William Fraser Tytler Esq. of Aldourie. Secondly Frances Maria daughter of First Viscount Gough. And having served his country in four campaigns as Deputy and Adjutant General and Adjutant General of the Army in India, also as Commander in Chief at Madras, Governor of Malta and Governor of Chelsea Hospital, died full of years and honour in the last named place 28th March 1895. His remains are interred at Brompton Cemetery, London. This tablet is placed here by his surviving sons and daughter. 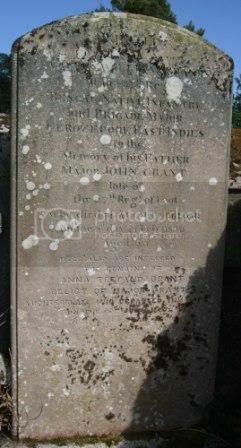 Erected by Captain William Grant of the 27th Reg Bengal Native Infantry and Brigade Major Ferozepore, East Indies to the memory of his father Major John Grant late of the 97th Reg of Foot who died at Auchterblair on the 2nd day of Feb 1820 aged 53. 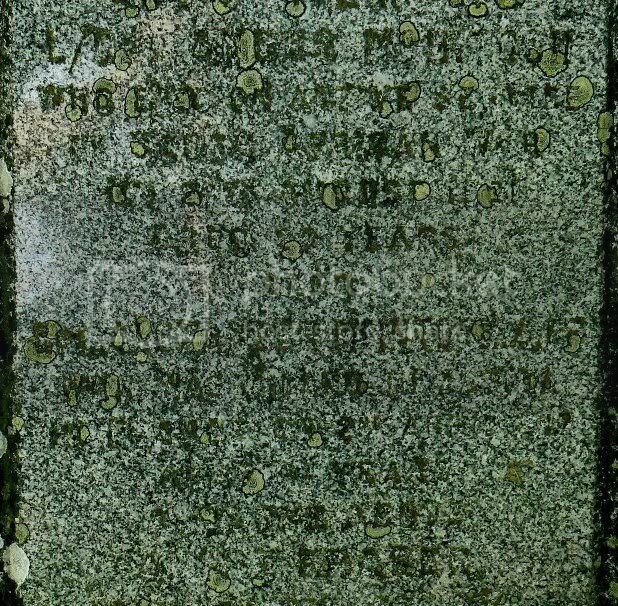 Here also are interred the remains of Anna Trepand Grant, relict of Major Grant, Auchterblair who departed this life on the 29th June 1850? In the 81st year of her age. Additional information: Son of Lachlan and Jessie MacIntosh Maclean, of Dulmain Bridge, Grantown-on-Spey, Inverness-shire; husband of Margaret Maclean, of Easter Aviemore, Aviemore, Inverness-shire. Grave/Memorial Reference: IX. B. 29. Unit Text: "D" Coy. 61st Bn. Additional information: Son of Lachlan and Marion Maclean, of 199, Shotts Kirk Rd., Shotts, Lanarkshire. Native of Glasgow. Grave/Memorial Reference: I. A. 2. Additional information: Son of Mrs A McIntosh of Ladysturn, Dulnain Bridge, Grantown on Spey, Scotland. 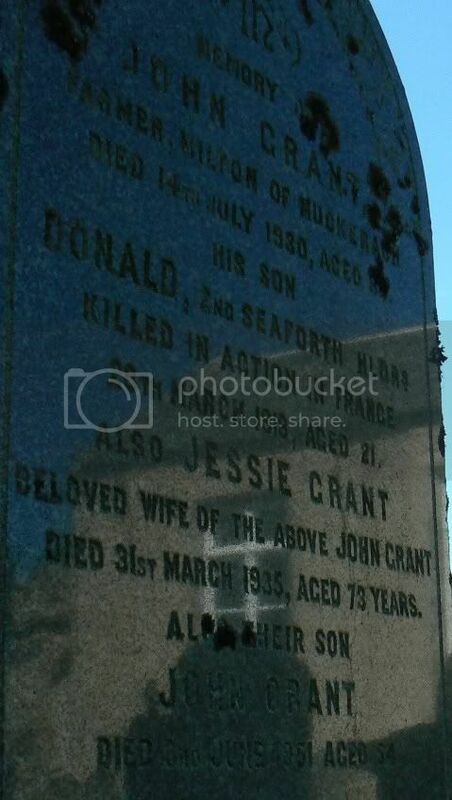 Additional information: Son of John and Jessie Grant, of Milton, Dulnain Bridge, Grantown-on-Spey, Inverness-shire. Grave/Memorial Reference: IX. F. 33.